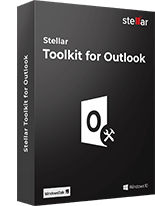 Stellar Toolkit for File Repair is an all-purpose Microsoft Office file repair toolkit to resolve all types of file corruption issues in MS Office application documents. The toolkit repairs corrupt Word, Excel, and PowerPoint files. Apart from repairing Microsoft Office documents, the toolkit also repairs Zip files. Works with Microsoft Office 2016, 2013, 2010, 2007, 2003, 2002, and 2000. Repairs corrupt MS Word documents and files (.doc/.docx) with original formatting. *Free download to scan and preview all recoverable data. Preserves the original text, fonts, images, and headers/footers of the documents. Repairs .doc and .docx files/documents that are inaccessible, start repagination or have unreadable characters. Repairs videos and pictures inserted in word files. Recovers everything in Word document, but in RAW text or machine-readable format. Simple, DIY interface, with useful features like file search and file preview. Supports Microsoft Word 2013, 2010, 2007, 2003, 2002, and 2000. Recovers tables, charts, chart sheets, cell comments, images, formula, etc. Preserves worksheet properties and cell formatting. Repairs single and multiple XLS/XLSX files. Fixes all types of Excel corruptions such as unrecognizable format, unreadable content. Supports Microsoft Excel 2016, 2013, 2010, 2007, 2003, and 2000. Note: Close all Excel files before running the software. If you have engineering formulas in the Excel worksheet/workbook, install the 'Analysis ToolPak' add-in. Restores Tables, Header and Footer, Charts, WordArt objects, control, modules, forms, etc. Restores VBA code, OLE object, hyperlinks, comments, slide number etc. Performs batch recovery of multiple PowerPoint presentations in a single operation. Supports Microsoft PowerPoint 2016, 2013, 2010, 2007, and 2003. Repairs all types of corrupt ZIP files and restores the data easily. Repairs password-protected ZIP files and securely extracts all the archived data. Saves the repaired Zip file data as compressed or uncompressed file at any desired location. The Microsoft Office repair toolkit helps users to easily select and fix corrupted files in multiple numbers at a single point of time. The time required for repairing Microsoft Office files and Zip docs depends on the number of files, their size and the level of corruption to be handled by the software. The file repair toolkit allows to check preview of the repaired MS Office Word docs, PPTs, Excel Worksheets, and Zip files data prior to actually saving at any specific location. The preview feature of the toolkit helps users to be sure of the repaired file data and to verify if the repair results match to the original data of selected files/documents. 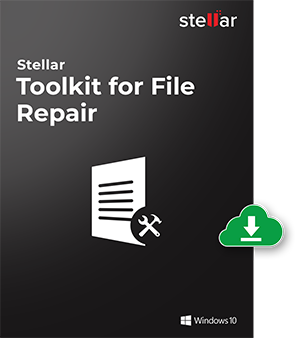 Stellar Toolkit for File Repair is compatible with Windows 10, 8, 7, Vista, XP, NT. The Word Repair software supports MS Word 2013, 2010, 2007, 2003, 2002, and 2000. The Excel Repair software of the toolkit supports MS Excel 2016, 2013, 2010, 2007, 2003, and 2000 and PowerPoint Repair software works with MS PowerPoint 2016, 2013, 2010, 2007 and 2003. 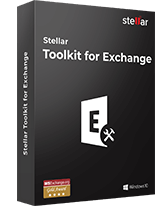 Stellar’s Office File repair toolkit has an interactive GUI to access all modules (MS Word, MS Excel, MS PowerPoint, and Zip) via a single interface. The intuitive interface of the software encourages the end users to perform file repair in the easiest way. 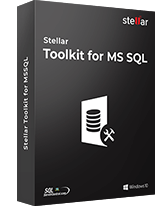 Is there a MS Office file size limit in Stellar Toolkit for File Repair? No, this software lets users to repair any size of MS Office file. Can I use this Toolkit on multiple PCs? Yes, by using a 'Technician License', you have permission to work on multiple systems at single site. 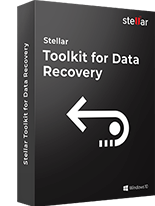 Does Stellar’s file repair toolkit repair Office 2010 and Office 2013 files? Yes, the toolkit repairs MS Office 2010 and 2013 word documents (.doc, .docx), excel files (.xls, .xlsx), PowerPoint files (.ppt/.pptx/.pptm). It also repairs Zip files. 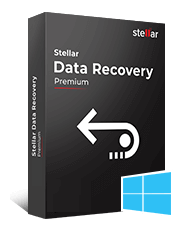 Stellar Repair for Excel is the best choice for repairing corrupt or damaged Excel (.XLS/.XLSX) fil..
Stellar Repair for Word is an easy-to-use Word repair tool for repairing corrupt MS Word (.doc, .doc..
Stellar Repair for PowerPoint that easily repairs corrupt MS PowerPoint (.ppt/.pptx/.pptm) files t..